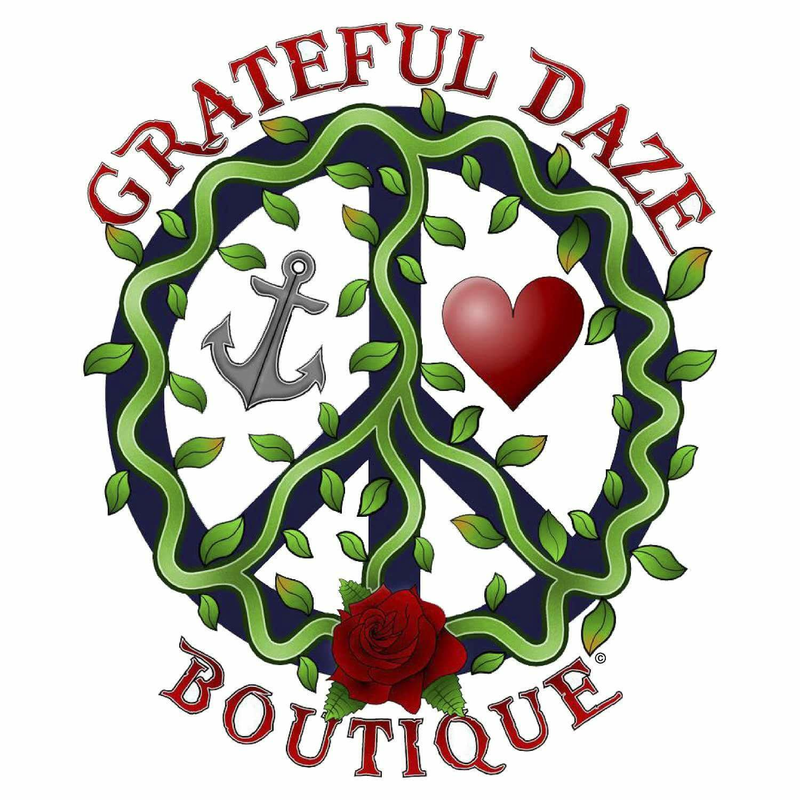 Welcome to Grateful Daze Boutique your Wondering Hippie Shop, for a more extensive listing please visit our ETSY shop by following the link. Please feel free to message us as well. We are very excited to share our Resin Pendants with you and are taking custom orders to help you create a lasting memory with your flowers from a special event. Please send us an email at Gratefuldazeboutique@gmail.com to discus or visit our ETSY shop. Most items in our shop are handmade and one-of-a-kind. Show off your uniqueness by purchasing a piece of jewelry that accentuates your style. Choose from our beautiful eye catching and meaningful designs or talk to us and we will customize a selection for you. You will find something for everyone here. Our unisex jewelry items are made from genuine healing stones, beautiful beads, leathers, Portuguese cork, sterling silver and more. We also have Soy 100% organic Essential oil candles poured into upcycled and hand painted jars. All of our items are one-of-a-kind, so if you see something now, grab it because it won’t be reproduced. Hula Hoops anyone? At Grateful Daze Boutique we create professional grade hula hoops for every level. Consistent with our theme, no two hoops are created the same, (except for our collapsible glow in the dark hoops). Choose from our inventory or email us your requests. Custom orders for all our handmade items is our specialty; just message us your questions and requests and we will work out something special for you. Along our travels we come across some “grate finds“, that we will offer as our supplies last. Check our Grateful Find section in the drop down menu, above. We want our customers to be happy. If you are not satisfied for any reason please let us know and we will arrange for a full refund or replacement. Shop worry free. We started this business in effort to restore a healthy state of mind and body within ourselves and we hope to share something from our quest for PEACE, HOPE and LOVE with you. Essential Oils Now Available in hand painted one of a kind jars.